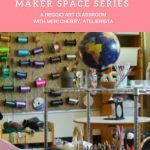 This interview is part of Tinkering Spaces, an informative series of interviews that center on designing kid-friendly creativity labs and makerspaces. 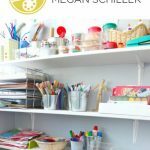 If you’re scratching your head because you can’t figure out where to put your children’s art materials, you’re hatching a plan to turn your laundry room into an art room, or you’re shifting furniture to make room for a new easel, these interviews are sure to give you food for thought. 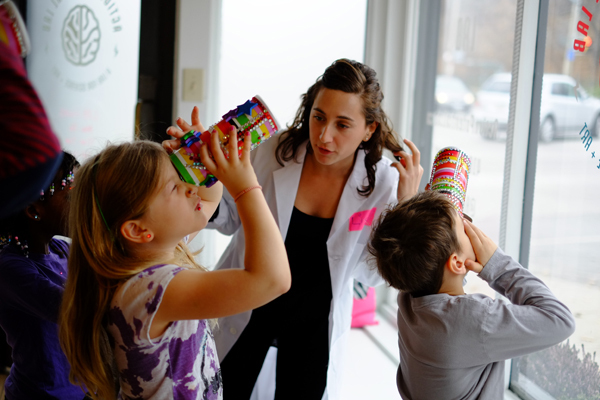 Today I’m joined by Lisa Carrie Goldberg, founder of Action Potential Lab, Toronto’s first science and art lab for kids and adults. 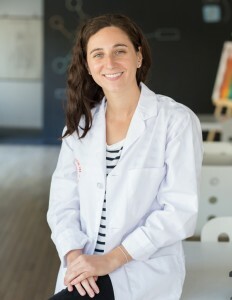 Lisa designed this lab as a community space for the merging of material matter found in both science and art, as a way to enhance Toronto’s creative potential. 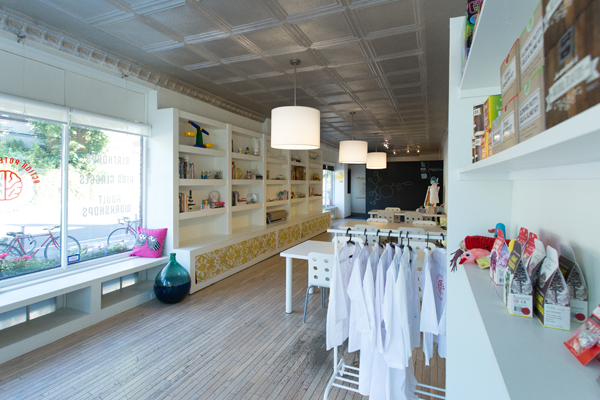 If you’re anywhere near Toronto, or planning to visit, you’ll want to add a field trip to this curiosity cabinet to your schedule. Welcome, Lisa! 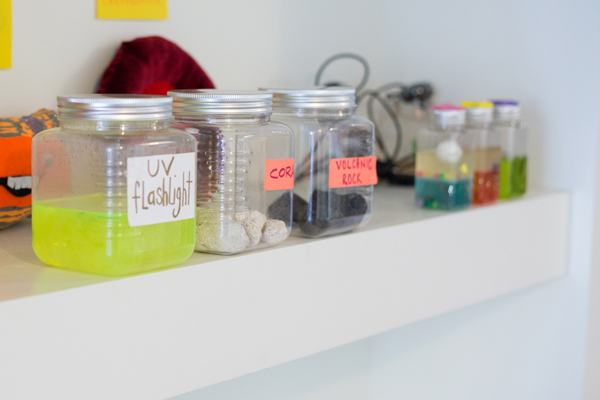 I was delighted to learn about your creative maker space that celebrates the intersection of art and science. This fusion of disciplines is right up my alley, and I know it will inspire my readers, as well! RACHELLE: How did Action Potential Lab get started? LISA: I started Action Potential Lab in January 2013 after returning home from studying Fine Art in undergrad and Science in postgrad. It was something that I wish I’d had as a kid. I wish I didn’t have to choose between science or art. So Action Potential Lab is a place where I’m trying to create that intersect, at the elementary school level. 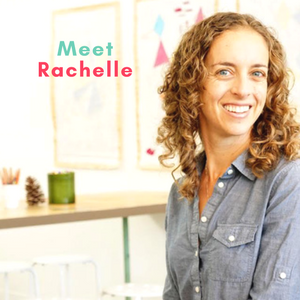 RACHELLE: How would you describe your space? 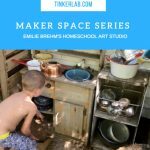 LISA: One quarter art studio, one quarter science laboratory, one quarter makerspace, and a quarter cabinet of curiosity. 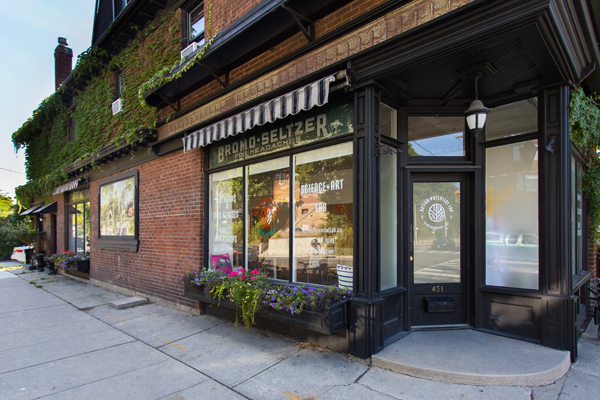 The lab is actually housed inside of a 100 year old pharmacy, with wooden floors, a tin ceiling and original gold foil signage on the exterior of the building that reads “Stan Walker Drugs” and “Bromo­Seltzer for Headaches”. After looking around the city for months to find the right location, it is so fitting to have found a space like this. I love the fact that I get to play off of this historical, medical lineage. RACHELLE: This building seems so perfect for the job! What a great find. What is the inspiration for the interior of your creative space? LISA: I wanted to evoke that clean, hygienic feeling of a laboratory by incorporating plenty of white, which meant that the splashes of colours throughout the space were from the student projects made in the lab. This juxtaposition helps to highlight their work on display. 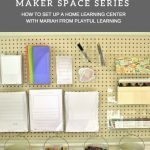 RACHELLE: Do you have any tips for those of us who want to set up a creative space at home? Painting one wall with chalkboard paint to create an instant graffiti wall in your house. 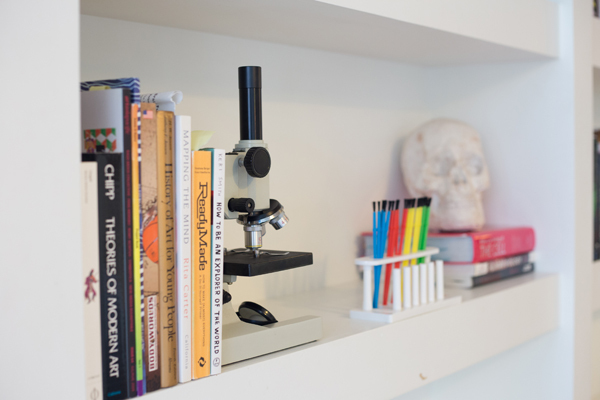 Set aside a cubby shelf from Ikea that is exclusively for art material and call it an Exploratorium or a Cabinet of Curiosity. Have a roll of kraft paper on hand so instant brainstorming can occur. And plastic sandwich bags can be used for collecting samples. Remember, science is everywhere, even in the kitchen. A lot of my experiments utilize food products, so many of my projects end up in the kitchen. RACHELLE: So true…the kitchen is the heart of our home science lab. Which five supplies are indispensable to you at this moment? RACHELLE: Your space is so clean and inviting. 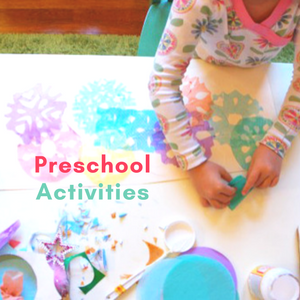 Can you share a favorite tip for organizing your creative zone or for cleaning up after a creative session? LISA: I have it organized so that each project has its own designated project box. All of the boxes are clear and labeled, making it easy to identify. I keep most of the project boxes stacked on metal, adjustable shelves in the basement of the lab. 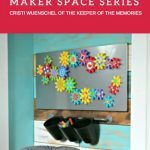 This keeps the room less crowded when the kids are in the space. Baby Wipes. 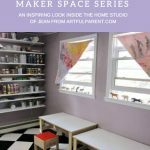 This is the first step between your painting table and the rest of your house. I always make sure my students have an initial wipe down before running across the room towards the sink. Kraft Paper. Having a roll of kraft paper on hand means that I have an instant table cloth that can be drawn and doodled on but still easy and simply to rip off and thrown away in the recycling bin. Magic Eraser sponge. I don’t understand the science behind what makes this sponge so darn effective, so it must be magic. RACHELLE: What do you wish children will take away from their experiences in this space? LISA: A sense of ownership over their projects. 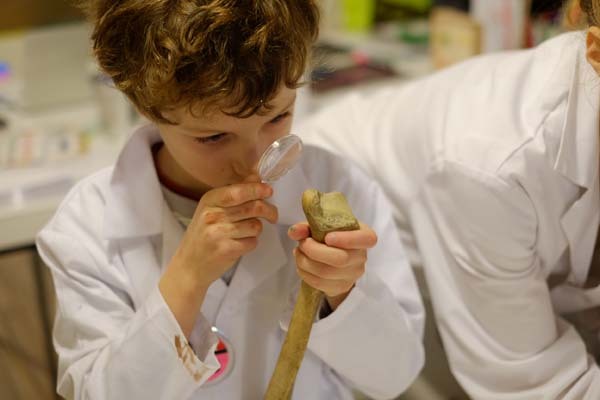 There is lots of room for student­-driven and student-directed research. 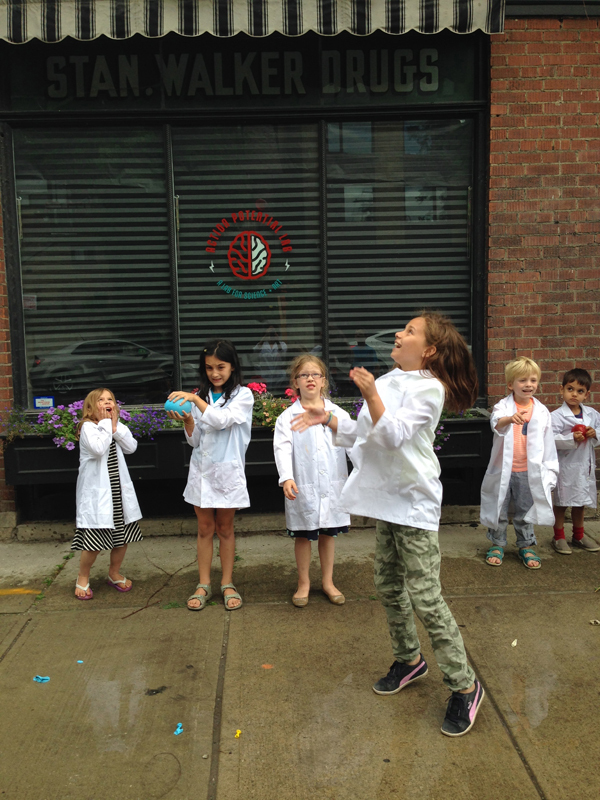 Every semester, students in my after school programs get their own, personalized lab coat and they get to pick one area of interest that they would like to learn about during their time in the lab. 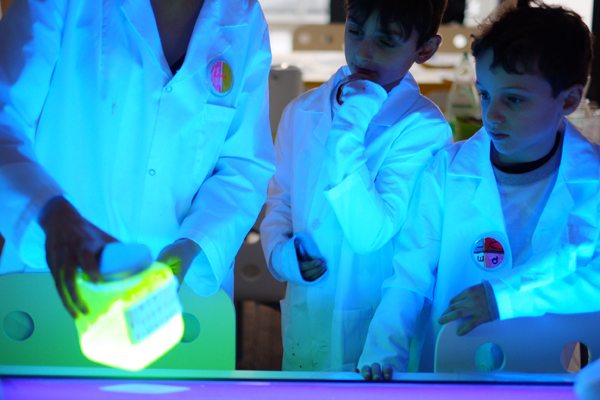 RACHELLE: The lab coats are such a thoughtful touch, and I can imagine how much the children treasure that part of the experience. Is there anything else you’d like to share? 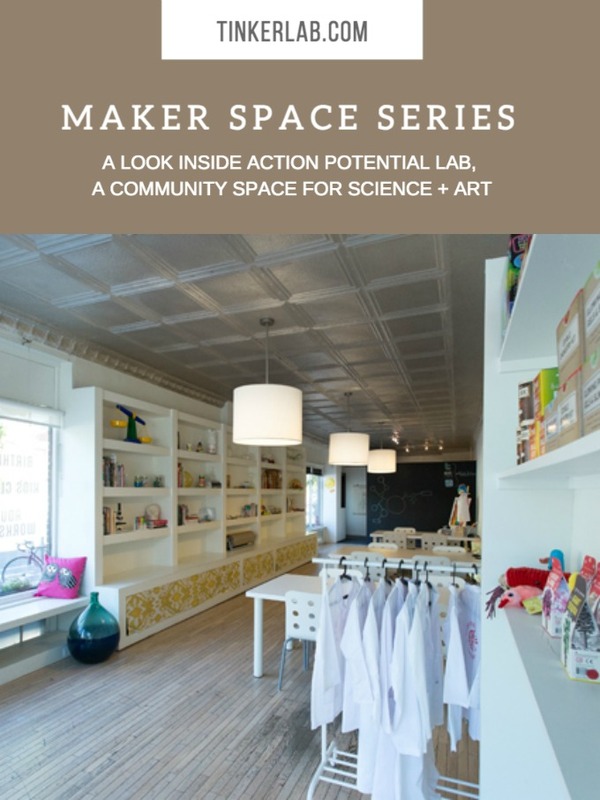 LISA: Thanks for including me and Action Potential Lab in TinkerSpace. Your website, blog and book are fantastic and I use them all as treasured resources. Keep up the great work! 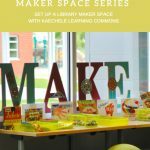 RACHELLE: Thank you for taking time to share your bright, delightful, curiosity-filled makerspace with us, Lisa. If you have a question or comment for Lisa, feel free to leave a comment. 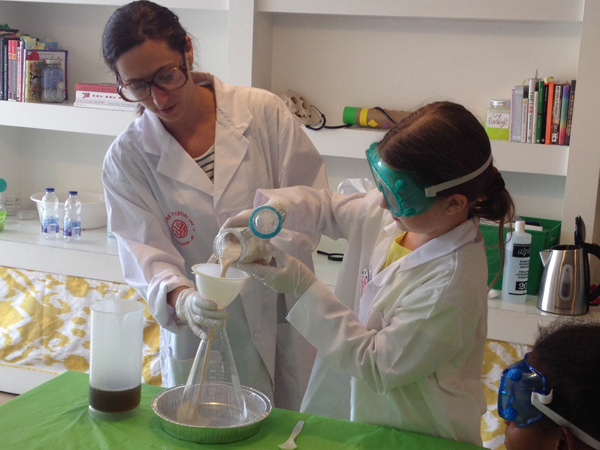 Thanks for visiting TinkerLab today! 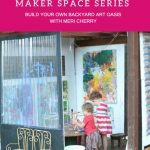 For more interviews like this, check out the Tinkering Spaces series. 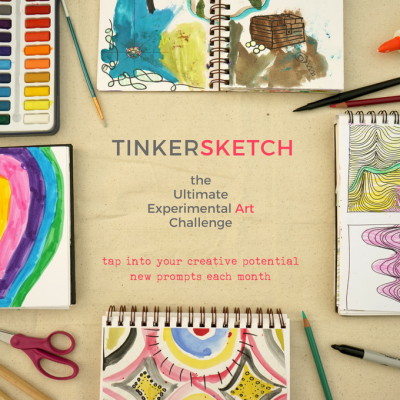 And to get the latest from TinkerLab, sign up for our free, inspiration-packed newsletter. 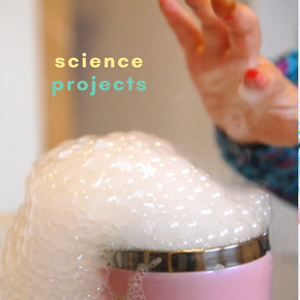 I have 2 young boys who love science, art and tinkerering and I’m a science teacher. At school I had to choose between maths and art in senior – such a hard choice! This looks like my dream job! I will definitely be following! What a cool space! I’ve never heard of any place like it, such a great idea. Thanks for sharing. We are trying to set up a space like this in our school. Could you give me some help and ideas on the priorities?